The thyroid, gullet and fat are removed making this cartridge chew high in protein, low in fat and loaded with glucosamine to support joint health. 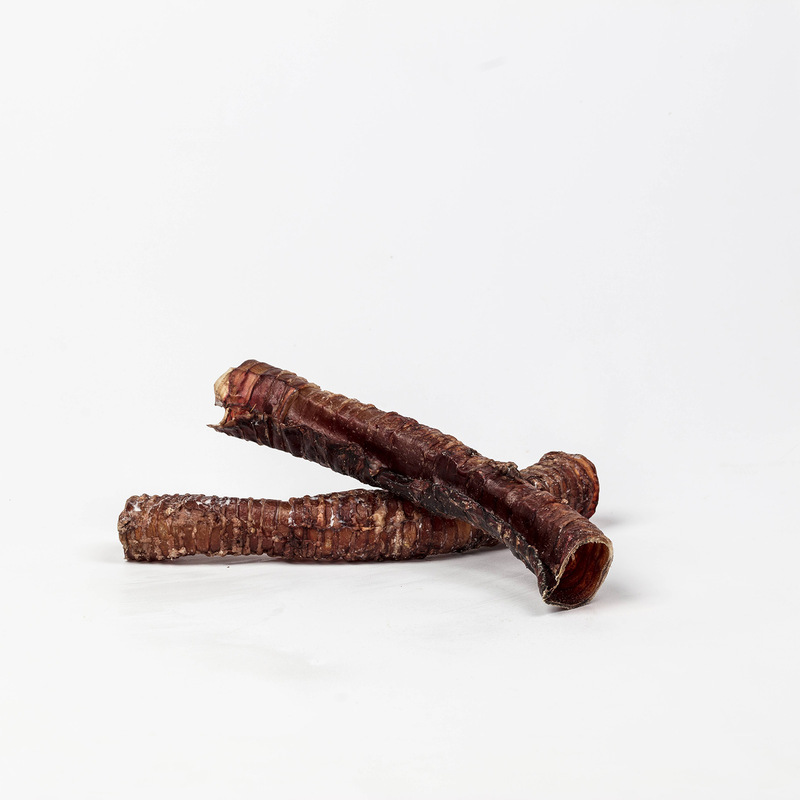 Air Dried Trachea is a hard chewing snack that is still soft enough for the fur babies to eat with a crunch but hard enough for good dental hygiene. Made without the use of smoke, preservatives, chemicals or high heat. If exposed to heat they may spoil. These are the best dried trachea you can find! They are freshly made, so they haven’t gone rancid like a lot of the trachea you buy at stores or online.